Yet more rock o' the 80s that the 21st century has all but relegated to the province of cobwebs. 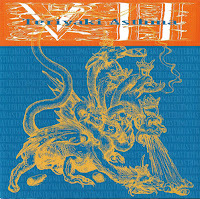 Produced and engineered by Butch Vig, Figure 5's Born to Vacation sounds patently like a product of it's era, deviating between synth-based 'wave' (rife with mild noir leanings), and far more stimulating guitars-y pop/rock that coincidentally foreshadowed what Vig's own band, Fire Town would unfurl in a couple years. It may come as no surprise that I'm fonder of the latter of Figure 5's dual personas, with "I Get Lonely" and "Isn't That Something" selling me in a heartbeat. The remainder of ...Vacation fluctuates in terms of quality and acumen, yet this co-ed, Middleton, WI rarely irritate. I'm ahead of my time, but only by a week. The 1992 album from a band I don't think I've delved into before, at least not on these pages. Track six is an interesting re-write of the Records "Starry Eyes." In 1990, hearing the Ocean Blue's "Between Something and Nothing" on college/alt-rock radio was about as unavoidable as encountering a mullet in a high school corridor. Yes, that song (and to a lesser extent it's follow-up single "Drifting, Falling") was largely played to death, but did any of us really feel compelled to switch the station or turn off 120 Minutes when it came on? It was indeed that kind of song, and the Hershey, PA quartet who molded it were quite frankly outliers of their era, eschewing any iota of machismo and abrasiveness, opting for clean, chiming guitars and an introverted demeanor - not unlike the Smiths, minus the pout and ego that is. The Ocean Blue were perhaps the closest America had to a mainstream act that adopted the C86 aesthetic. Sure, they weren't as rough around the edges as the Bodines or Mighty Lemon Drops, but nonetheless they were Anglophile to the core and all the better for it. If you've ever wondered what these guys sounded like before Sire got a hold of them here's your chance. This nine song compendium features demos for six songs that were re-cut for their self titled 1989 LP, a pair of arresting early tunes that were only available on a 1986 radio station compilation, and "Renaissance Man," which eventually surfaced as a b-side. All the hits are here, including "Between Something..." and "Drifting, Falling," and as you'll soon discover the variances between the album/demo versions are subtle, but existent. I have another set of OB demos, albeit with some overlapping songs, that I'll attend to a bit later. Enjoy. 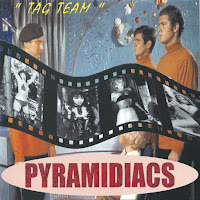 I must have had plenty of opportunities in the twentieth century to investigate the Pyramidiacs, be it from recommendations from Not Lame catalogs, compilations, etc...but I didn't. Frankly, I was limited to my budget, whereas today my options for partaking in music have been stratified to an extent where money isn't so much of an object. Back then I had to pick my battles, or more accurately bands very carefully. This Aussie power pop quartet wasn't one of them, but after recently being introduced to this devastatingly grand slab of vinyl I hope to make up for some serious lost time. 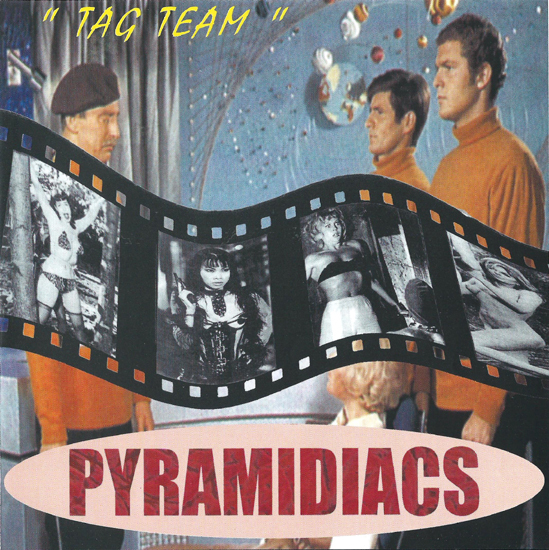 What little I've been able to scrounge up online regarding the Pyramidiacs seems to speak to the group's garage-rock credentials, yet I'm not picking up on that notion at all. Hardly a complaint when the band is clearly more plugged into the likes of Cheap Trick, The Hollies, and perhaps less consciously Teenage Fanclub. "I Can't Hide" is probably the definitive number on Tag Team, but I'm also tempted to pin that honor onto "Pretend," a tune that delves into the crunchier realm of so many of their Stateside indie-pop contemporaries. The cherry on top is a faithfully executed rendition of the Posies Frosting on the Beater-era outtake "Open Every Window." If the rather graphic depiction on the Young Lords album sleeve (to your left) has you doing a double take, it's probably for a valid reason. Rage Against the Machine used a photo of the same self-immolating, Vietnamese Buddhist for their debut record as well. Thing is, barely a modicum of intensity or tumult grazes the agenda of the Lords, a power trio whose modus operandi is par-for-the-course garage rock. Not a bullet or a bombtrack in sight. Sonically unremarkable (to be quite honest) these guys drifted from lightweight psych to punkier barroom maneuvers, peppering their tunes with churning organ riffs and occasionally sax. In spite of frequent generic tendencies, The Lords succeed in a face-value capacity, even exposing shards of character on "Working for the Underground" and "I Want a Doctor Like Elvis Had." A halfway there cover of "There She Goes Again" (cleverly hidden under the title of "Here She Comes") is somehow not credited to the Velvet Underground. Funny that. Is it just me, or do these guys bear a certain likeness to the Strokes? Here are their first two albums, from 2002 & '03. Recently had a request for this one. 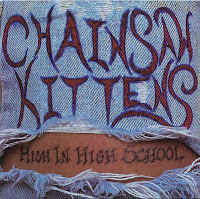 As much as I was enamored with the Chainsaw's careening debut, Violent Religion, and for all perfect tens it housed ("Mother (of the Ancient Birth)," "Bloodstorm," etc...) Tyson Meade and his posse had something even more dazzling waiting in the wings. 1992's Flipped Out in Singapore upped the ante of Violent's... slashing punk via Tyson's Morrissey-esque croon, incorporating another wall or two of Marshall stacks for an even more wailing sonic wallop. 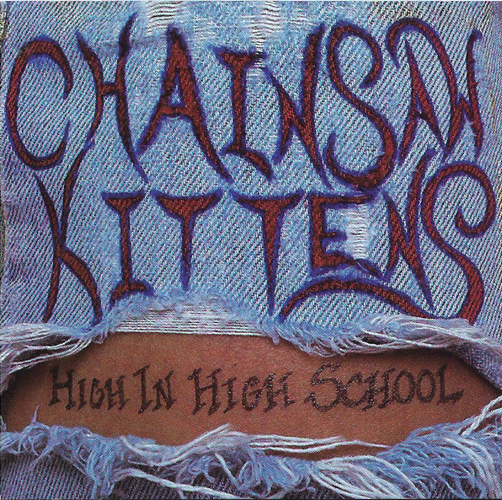 The melody quotient remained intact on Singapore, with the vocal theatrics pared down a tad, giving the Chainsaw Kittens pastiche a more linear power pop semblance...cranked up to eleven no less. 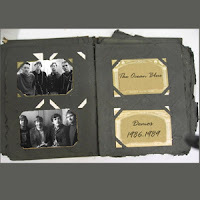 The record spawned a spin-off ep, High in High School, front loaded with the title track, and another amped-out scorcher from the album, "Connie I've Found the Door." Rounding things out were for non-LP b-sides, including a pair of high-octane barnburners in the guise of "Couple #23" and "Stuck" slotting in appropriately. They're followed up by a not-so-crucial retread of Three Dog Nights "One," and a spare piano ballad "Walk Softly (for D.M.)." Leave it to the '90s to inspire compilation singles that were often more exciting than full length various artists collections (though technically, the nine volume Teriyaki Asthma series on C/Z Records was kickstarted in 1989). The overriding emphasis was on burgeoning Seattle bands of the era (including a pre-stardom Nirvana), but national acts like Unrest, L7, Alice Donut, Ween, and the Pain Teens were sprinkled in among the subterranean Emerald City swill. 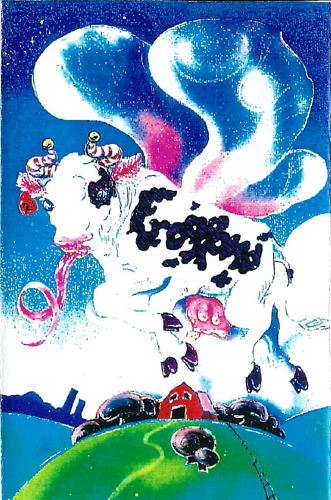 Perhaps the pinnacle of the Teriyaki Asthma saga arrived in 1992 via Vol. 7. Seattle is duly represented by Hammerbox, an oft phenomenal female-fronted contingent who blended full-bore punk thrust with smashing vocal hooks. It's hard to say that their contribution "Promise to Never" isn't my favorite thing on here, but I that nomination would more realistically have to go to Superchunk who take to task Motorhead's "I'll Be Your Sister," (the title truncated to merely "Sister" on the TA7 sleeve art) getting the point across even more succinctly than our dearly departed Lemmy did. The Poster Children are represented with a solid non-LP goodie from what was arguably the finest period of their tenure. As for Tsunami's "Punk Means Cuddle," let's just say it's nothing short of the band's very quintessence. This was ripped from my original 7," not taken from the CD reissue compilation it later appeared on. Helmed by Ian Blurton, Change of Heart were fixtures in Canadian indie rock for a sizable chunk of the '80s & '90s. Renown for constant lineup alterations as much as their music, CoH peaked during the mid-'90s when Toronto's Queen Street music scene blew up, right as grunge hit in the States. Though I'd desperately like to, I haven't encountered the records that preceded Soapbox (50 Ft. Up, Slowdance). My understanding is that they had something of a punk bent to them. As for Soapbox, not so much, save for aggro rumblers like the commencing "Massacre" sounding something like early Goo Goo Dolls, and further in, the riffy "Picture Perfect" and "Everything." CoH seemed to be reaching for a similar aesthetic as their Montreal neighbors the Doughboys, albeit curtailing the distortion quotient. It's hard to pin what the band's angle ultimately was on Soapbox. My impression is that this is a transitional record, based on hearing the albums that succeeded it, which frankly skewed more towards "alterna" whims of the day. I'm not fond of some of Change's jammier inclinations on this album, but they are what they are. A handy retrospective, There You Go ’82-‘97 surfaced a few years ago, and is available from Sonic Unyon. Note: A couple of songs here may have skips, which if anything is sourced from the record itself, not a shaky turntable. They're fairly unnoticeable, but should I come across a better copy of the album you'll be the first to know. Heck, maybe I'll find the CD version instead. Tomorrow never comes unless you let today begin. The first two albums from a Canadian powerhouse that never got their due. I suppose it’s inevitable that The Feelies will be venerated for their 1980 debut, Crazy Rhythms above and beyond anything else in their subsequent catalog. Later records, specifically 1988’s Only Life and ‘90s Time for a Witness, may have lacked the nervy undulations and defined textures Of Crazy… , but compensated with a noticeably linear tact. This was no doubt a symptom of the Feelies reshuffled lineup that came about after the band’s lengthy early ‘80s hiatus, but I don’t have nearly enough time to delve into the specifics of that. Nonetheless, two new reissues on Bar/None prove these Hoboken, NJ mainstays still had plenty of gas in the tank, perpetually nervous or not. Call it Only Life “pastoral,” “organic” of “goes down easy” - all of which apply. there’s a demonstrable purity to this album the original incarnation of the Feelies never quite exuded, or at the very least extrapolated on. Admittedly, Glenn Mercer & Co’s third LP is an anti-climactic beast, with each song morphing seamlessly into the next, yet subtly stimulating, especially when absorbed in its entirety. Only Life’s download-only bonus material, ironically consists of much more recent recordings, including three songs tracked at Hoboken’s legendary Maxwell’s just days before it would shutter in 2013. It’s ironic that Only Life concludes with a reading of the Velvet’s “What Goes On,” when it’s the Feelies succeeding record, Time for a Witness, that seemed to channel Lou Reed. Arguably the band’s most driving and often straight-up rocking record …Witness boasts sizable mojo and fervor on the sinewy “Waiting” and the racing “Sooner or Later,” proving (not so) old dogs can learn new tricks. 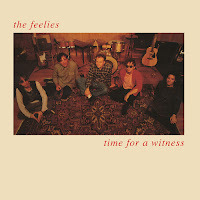 And if it’s the reliably strummy and jangly tones you’ve come to love from the Feelies, look no further than “Doin’ It Again” and “Invitation.” Bonus download tracks feature more live fun at Maxwell’s, with a cover of the Stooges “I Wanna Be Your Dog” no less. I have a live show for you from a 1989 Lyon, France live performance that was taped for FM radio. 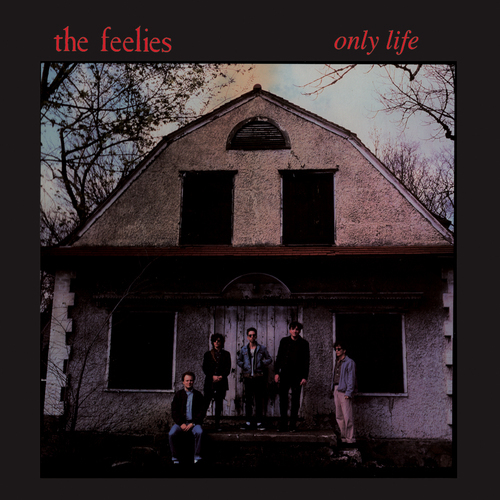 A Feelies show is nothing with cover, and you'll find no shortage of them here. Wasn't planning on this, but it looks like I'm not going to be able to offer you much until this weekend. Will try to get to some of your re-up requests in the meantime. Cheers. 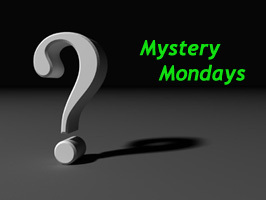 Four eps for the first Mystery Monday of March. No shortage of guilty pleasures here, trust me. Enjoy. It must have been a good two decades ago when someone tipped me off to Frogpond, but when I learned they were on a major label that essentially sunk their credibility with me. Glad I didn't pass up on this demo when I found it in a thrift store rack not too long ago. Four young women from central Missouri unfurl an unholy volley of devastating hooks and crunchy guitar clatter on this eight-song nugget of buzz 'n fuzz, placing them squarely in the same marathon as the Breeders, Liz Phair and Veruca Salt. In terms of sheer accomplishment and capability, the gold would go to Kim Deal and Co. in that hypothetical race, but Frogpond would clock in at a very close second or third. I'm practically in love with 2%. Will have to check out their proper albums, even if they're lacking the raw, naschent charm of this tape. How could I have neglected this one for all these years? Just assumed it was on iTunes, but evidently not. 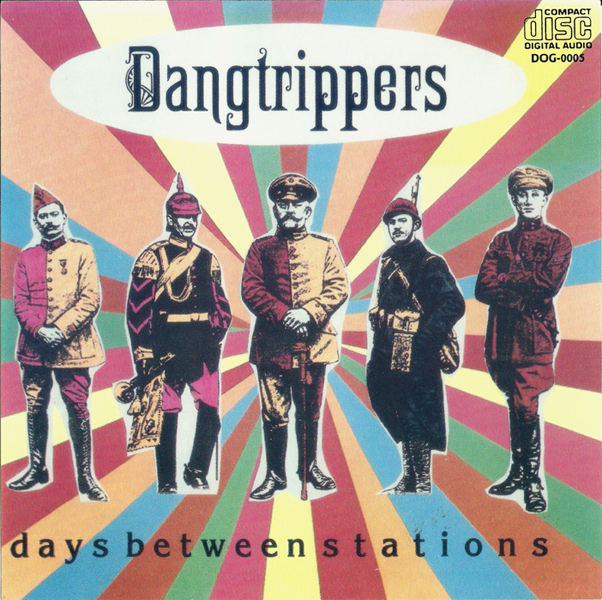 Now that I think about it, I did offer a single by the Dangtrippers many moons ago, but you'd be forgiven if you overlooked it. A landlocked, Iowa City quartet, the Dangtrippers specialized in a jangly stripe of power pop with an aesthetic in league with the Gigolo Aunts and Greenberry Woods, though I'd submit these lads packed a tad more bite. 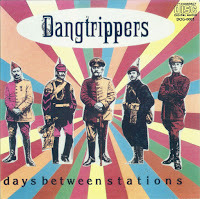 Their debut, Days Between Stations, was produced by a gentleman named Tom Tatman, though an alliance with Mitch Easter or Don Dixon would strike me as more appropriate. Days... isn't necessarily remarkable or incendiary, just pretty damn good - and that's perfectly fine with me. Their harder to find follow-up, Transparent Blue Illusion was recently reissued online by Zero Hour Records.